We currently employ more than 3,900 staff, with 3,500 of those based in-store and the remainder in our Inchinnan Head Office (beside Glasgow Airport), or in our London Buying Office. Astonishingly, almost a quarter of our staff have been with us for more than 10 years, with some outstanding individuals having worked in the company for more than 30 years. M&Co is known for its family culture, which nurtures some extremely loyal customers. 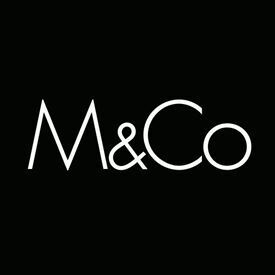 Get the latest jobs from M&Co sent direct to your inbox!